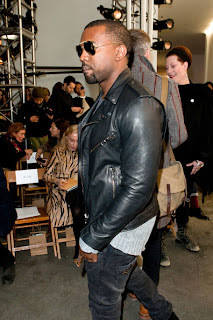 JR, The Black Entertainment Guide: Kanye West dating Mary Kate Olsen? Kanye West dating Mary Kate Olsen? Each week, Kanye West is rumored to be romantically involved with one woman or another. Following his split with Amber Rose, gossip magazines tried pairing him off with Kim Kardashian. In a matter of one week, Kanye West was linked with three different women. Each of them denied having a relationship with the rapper. Recently, Amber Rose discussed why she is no longer with West and is now with Wiz Khalifa. Some feel, because of their respective statuses, going from Kanye West to Wiz Khalifa is a downgrade. But, having been with both men, Amber Rose said personality-wise, making the move was an upgrade. West's ex-fiancee`, Alexis Phifer, also spoke on her time with West, saying she could not handle the lifestyle. She said the reason he lasted with Amber Rose as long as he did was because she was able to handle his celebrity status. No longer with Rose, Kanye West would likely agree with Phifer about that much, despite the two having no plans of getting back together. Now, there are more rumors about Kanye West's love life. Several reports are saying the "Jesus Walks" rapper is romantically involved with former "Full House" star, Mary Kate Olsen. While celebrating his birthday in New York City, reports say he was in a romantic embrace with Olsen, whose twin sister has been linked to Justin Timberlake. Last month, Kanye West was tied to the infamous "mysterious woman" during his time in France.